So what does this custom have to do with New England? Well, you never know where a custom may fall. Our house was built in 1914-15 so it’s on the cusp of its centenary. Over the years we’ve removed some questionable bits and added our own. A number of years ago we converted the house from a two-family house to a single-family house. Never a large house, the rental apartment could not fit the larger furniture many people owned, which made our decision a little easier. One of the tasks was the replacement of the ground floor front door leading to the upstairs unit with a window. Each apartment had its own entrance, so one needed to go. As I removed the door frame from the wall frame a workman’s shoe fell from the space between the studs and hit the floor. Usually these voids have broken plaster keying and bits of wood from the construction, but this time a shoe! It startled me, as we have never found anything in this house other than what should be--no treasures, no forgotten documents, just a house, which is fine by us. So the falling shoe was the first artifact discovered in the house. 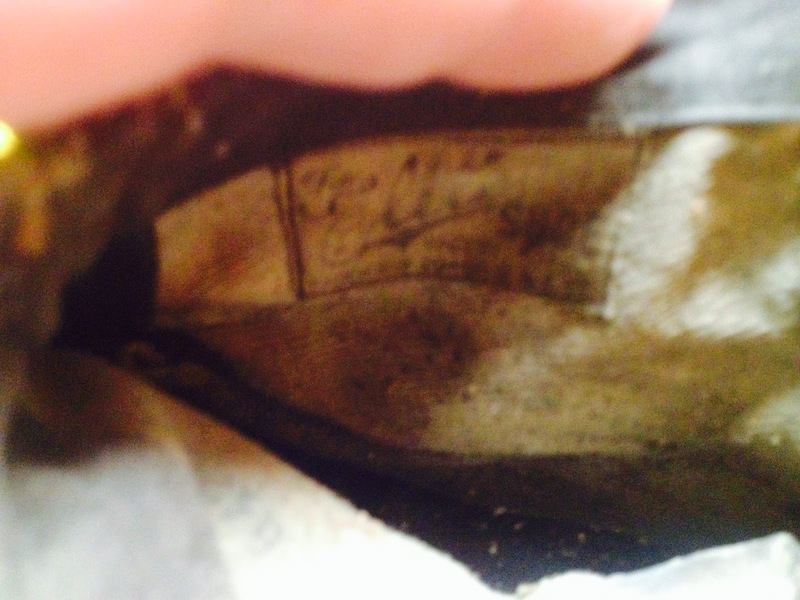 When I retrieved the shoe from the floor, I looked inside and there was a label describing the shoe as, “The Elite Shoe” manufactured in Brockton (MA?). A utilitarian shoe for a working man, with a hint of style provided by the punched leather detail. Did the shoe manufacturer decide this touch make it an elite shoe? We may never know. The beauty of the discovery was not the quality of the shoe but the connection it provided with the past. 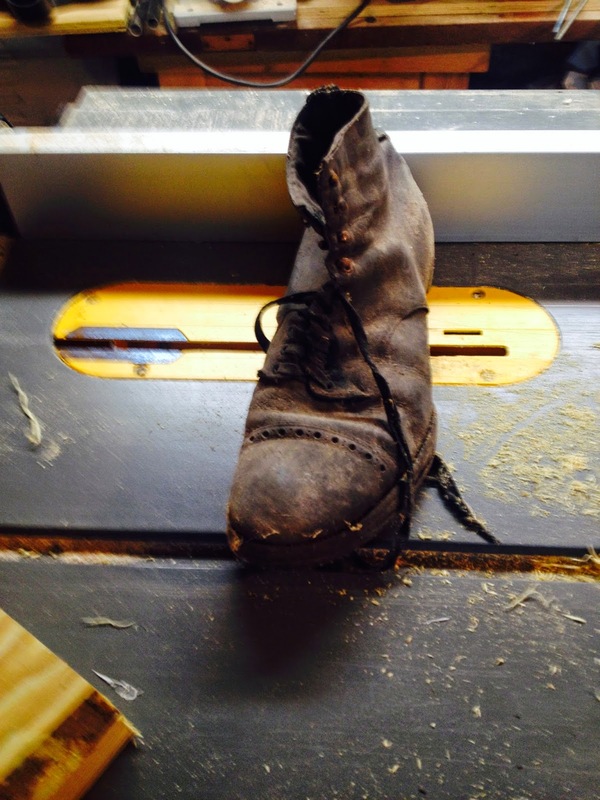 A modern shoe transformed to become part of a centuries old tradition--a good luck token from the builders. It may have been left to protect the house form evil, but how intriguing that it still occurred in the early twentieth-century, not just the fifteenth-century. Such a simple, utilitarian and delightful reminder of the power we invest in articles of clothing, which occasionally transcend time and perhaps even space. 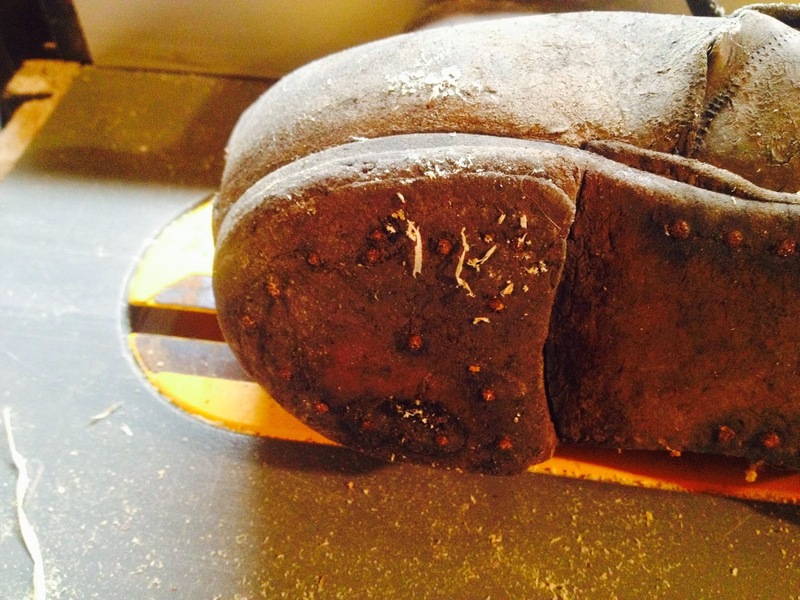 For the record another concealed shoe has been found in another old house. 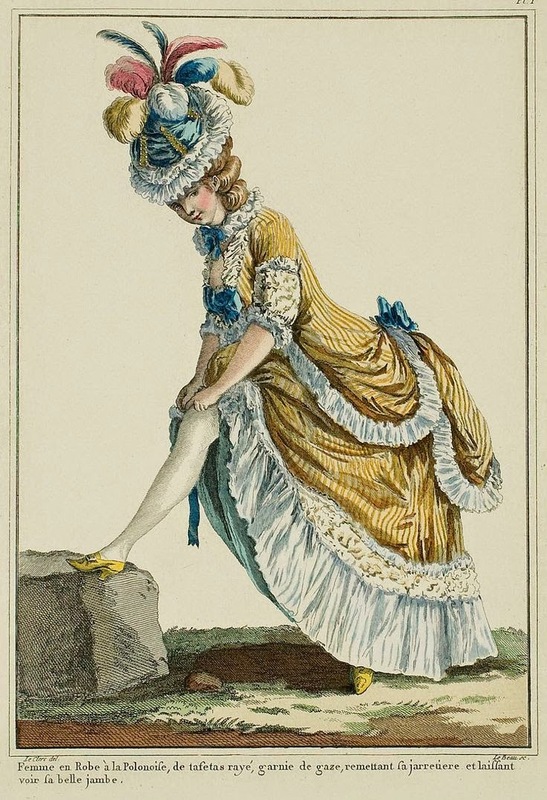 Exhibition - "Cosmopolitan Consumption: New England Shoe Stories, 1750-1850"
In early New England, the significance of shoes extended beyond function alone. New Englanders prized, celebrated, and displayed their shoes as markers of fashionable style and genteel sensibility. They also refreshed, altered and revamped them, making repairs as long as the leather was still good. 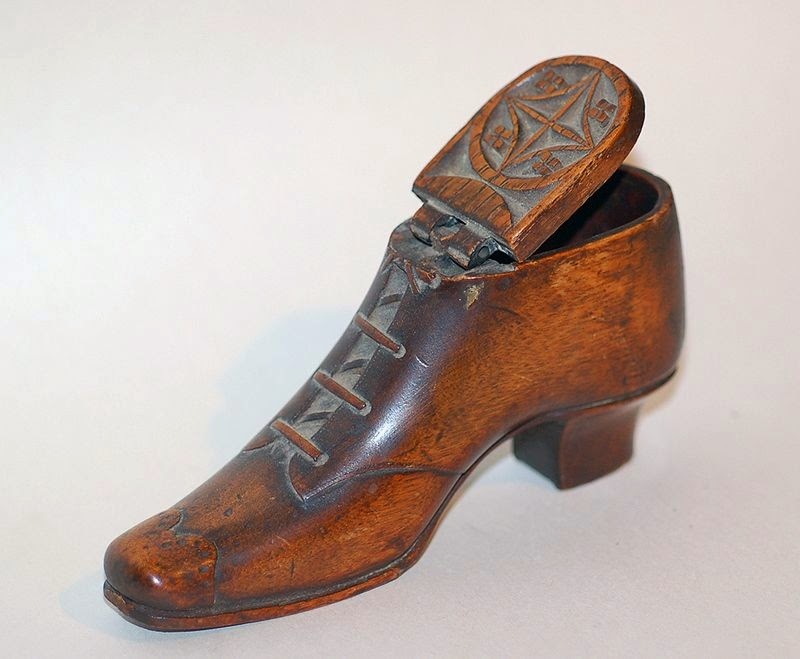 The exhibition Cosmopolitan Consumption: New England Shoe Stories, held at the Portsmouth Athenaeum, is a rich exploration of New Englanders and their shoes. We will introduce viewers to lives of figures both prominent and middling, through both stunning and well-worn examples of this significant American accessory. 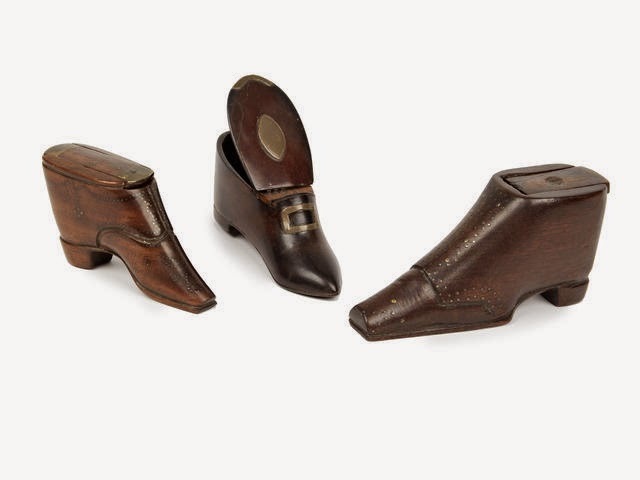 Viewers will explore the process of how shoes were made, sold, and worn in New England, 1750-1850. 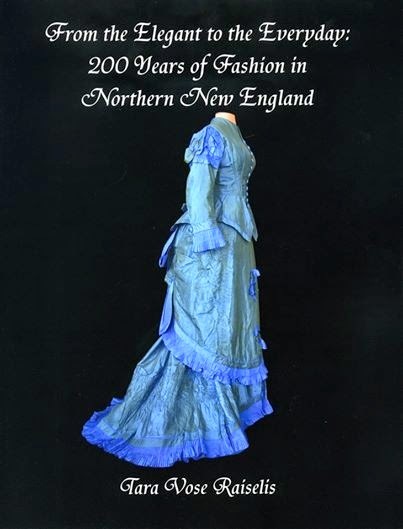 Through the lives and letters of clever apprentices, skilled cordwainers, wealthy merchants and elegant brides, Cosmopolitan Consumption will take us on a journey from bustling London streets, to ship cargo holds, to New England shops and, ultimately, to the feet of eager consumers throughout the region. 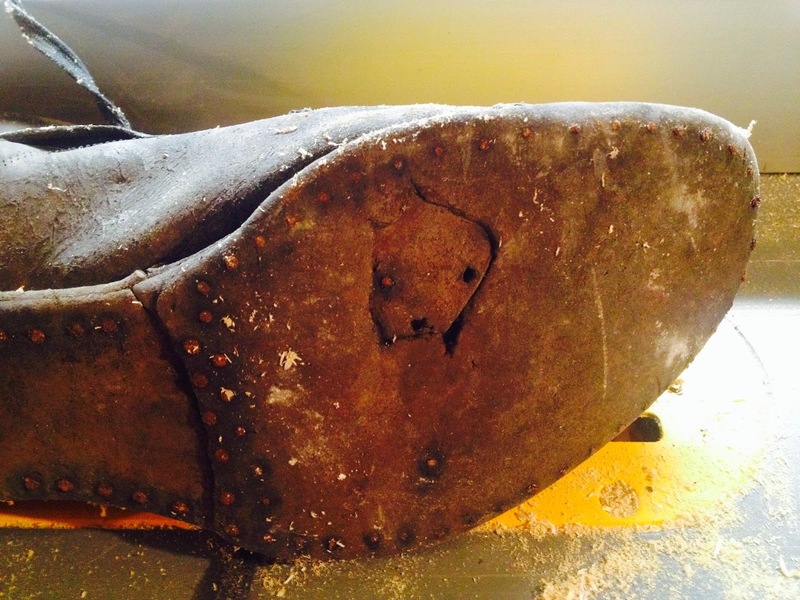 The “shoe stories” recount a young bride dancing with George Washington during his visit to Portsmouth or a lady attending a ball for Marquis de Lafayette; they trace the fortunes and misfortunes of wearers as shoes were altered to accommodate poor health and changing styles, and finally, they provide glimpse into the shoemaking business of artisans like Sam Lane of Stratham, who sold his shoes at Market Square in Portsmouth. 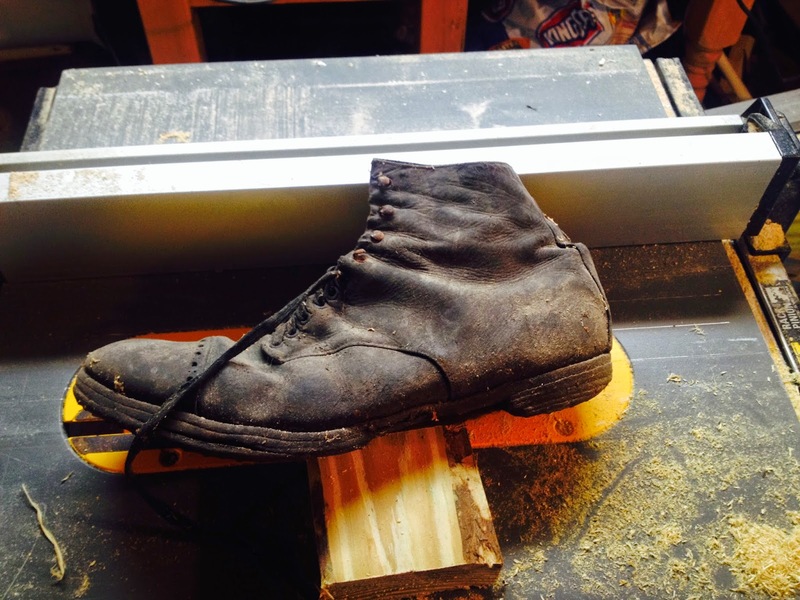 This rich shoemaking heritage continues today. We ask our viewers to consider how these fashionable shoes reveal the hopes and dreams of New Englanders. 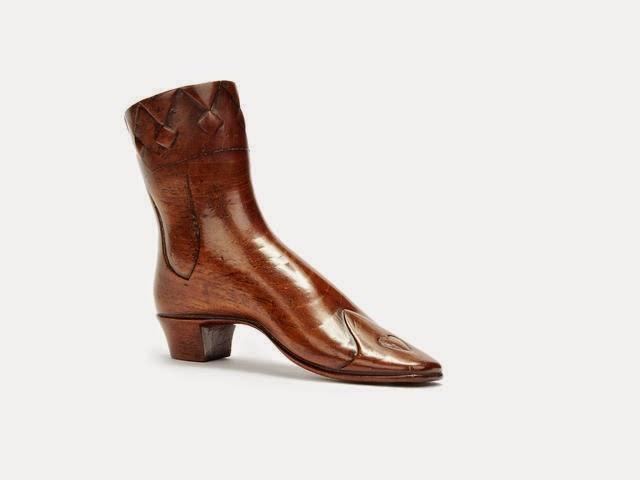 The “shoe stories” will be told via approximately 25-35 pairs of shoes, pumps, and mules from numerous local, regional and private collections. Many of the shoes have never before been on display, making this a destination exhibition. An active program series is planned, including gallery talks, special lectures by leaders in the field, a “shoe shopping” event and hands-on workshops. Funding is currently being sought for a catalog and conference. The opportunity for community outreach and engagement at all age groups is especially strong. Held at the Portsmouth Athenaeum (www.PortsmouthAthenaeum.org), Portsmouth, New Hampshire, the exhibition will open on Valentine’s Day, February 14th 2015 and be on view through late May 2015.